It's the big one. The matchup we've all been waiting for. It's Tiger 'The Immovable Glute Whisperer' Woods versus Phil 'The Gawping Dandy' Mickelson. And this time it's for monnneyyy!! Nine million bucks to be precise. Plus side bets on individual holes that amount to more than the entire prize money for this week's Ladies European Tour event, the Andalucía Costa del Sol Open de España Femenino (try saying that with a mouth full of turkey). In fact, the total prize fund on the Ladies European Tour this year is just under $14.5million, not even double what these two are chasing in a single day. And it's on TV. And you can pay twenty bucks to watch it. 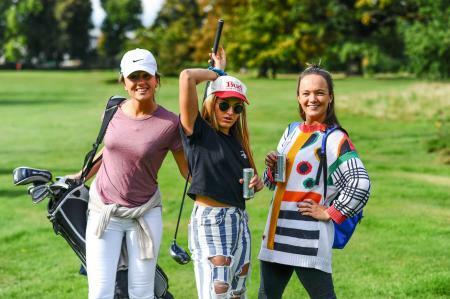 There will be no spectators on the course, the players will be mic'd up and drone cameras will be bringing us 'never before seen' camera angles during the day. 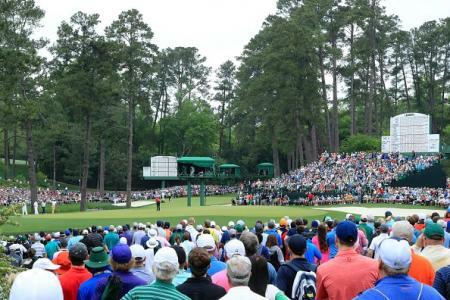 Just how many golf/sports fans will cough up to watch an exhibition match remains to be seen. What is clear is that the organisers have taken a leap of faith that our insatiable appetite for a big-money/grudge match showdowns will stretch from boxing to golf. It would appear that 'obscene money' is the ultimate legitimiser when trying to big-up a superfluous event in the crazy carnival of big-top sport. $20.00 x 1,000,000 pay-per-views would amount to $20million. Half of that goes to the winner and the other half against production costs etc. Hang on, why am I even trying to work this out? Like I have some empathy for the dudes that came up with this idea? What we have here is an all too familiar attempt by golf to create 'entertainment jeopardy' via a simple, blunt and kind of patronising numbers game, just like the FedEx Cup which rather crudely attempts to get us all excited to see which stinking rich golf pro can add another $10million to his money box by topping the rankings at the end of the season. Does anyone really care? Does anyone go to the nearest bar and ask their pals 'Did you just see that??!! Justin Rose just won an extra $10million for coming top of the FedEx rankings??!!'. Of course, they don't. It's not interesting. Unless you're Justin Rose's wife and then it's very interesting. But it's not life-changing, so we're not interested. And that is the ultimate prerogative of the sports fan. There's no jeopardy if Justin Rose wins £10million or not. He's already very wealthy. And good luck to him. Playing golf under pressure to such a high level of skill and accuracy he deserves everything he gets. Just don't expect us golf fans to act as cheerleaders during the cash-hoovering-up process. 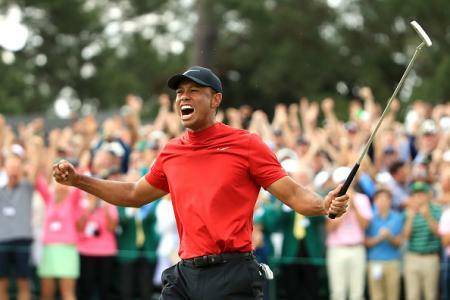 What we did get excited about on that final day of FedEx Cup action was Tiger Woods completing a remarkable comeback by winning the Tour Championship, the final event of the FedEx Cup. Why did we get excited? Well, it's Tiger Woods and we always get excited when he's anywhere near the top of a leaderboard. But we also had the mesmerising scenario of not knowing whether he could do it or not. There was jeopardy at stake – the jeopardy that Tiger might prove the doubters right. He might mess it all up over the last couple of holes leaving us, and him, wondering whether he really is able to compete and win again. So we were glued to the action, on the edge of our seats, 100% invested in the possibility of the various potential outcomes. What we weren't remotely bothered about was the amount of money Tiger would either win or lose out on. This was real sport and we don't mind paying for the privilege of being able to be part of it. 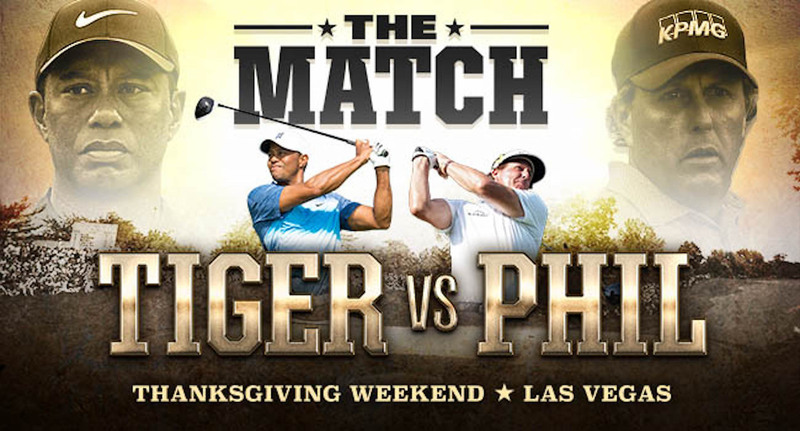 What we have with Tiger v Phil is an unashamed and cynical attempt to get us to fork out pay-per-view money to watch a load of nonsense by waving a nine million dollar bill in our faces and putting out a couple of insipid promo videos which are supposed to convince us that either player will be devastated if they don't win the nine million dollars. Golf already has a perception problem – that it's played by boring middle aged rich dudes and watched by boring middle aged rich dudes. How is this 'Match' between two golfers way past their prime for an obscene amount of money going to dissuade your average millennial that golf is exactly that – a fait acommpli sport with more barriers to entry than the Mexican/US border. The only way to save golf's reputation on this one is for the winner to give the cash away to some charity or other. Neither of them needs the money and there are plenty of people in the US that really do. A certain place called Paradise was recently wiped out by forest fires in California, not a million miles away from where The Match is being played in Las Vegas. While Tiger & Phil are breaking necks and cashing cheques on Sunday, the evacuees/survivors will be spending their Thanks Giving in Walmart's parking lot. Do yourselves – and golf – a favour lads, give the money to them. As most of the golf world turns its back on any kind of debate about the validity/morality of 'The Match', a few high profile players – mostly younger – have voiced their dissent. 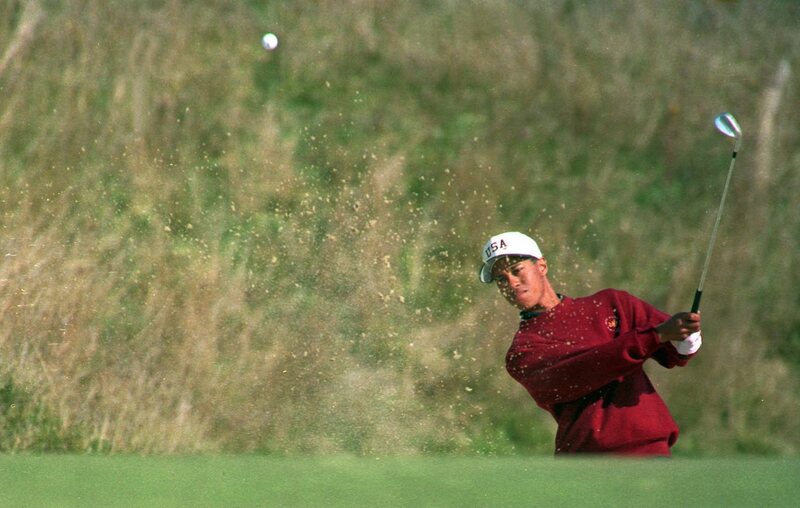 "Look, if they had done it 15 years ago it would have been great," Rory McIlroy said. "But nowadays, it has missed the mark a little bit." World number four Justin Thomas, dismissed any chance he'd be paying the $19.99 subscription fee to watch. "Love TW and Phil to death, but there's a zero percent chance I order that," Thomas tweeted. "I'll be watching football!" Jon Rahm said he felt the match is "10 years too late". "Maybe when they were both in their prime it would have been extremely amazing," he said. No holds barred there from Eddie. At the very least Pepperell's interjection suggests that not all golfers will simply shrug their shoulders if the game they love is getting a high profile tampering with.